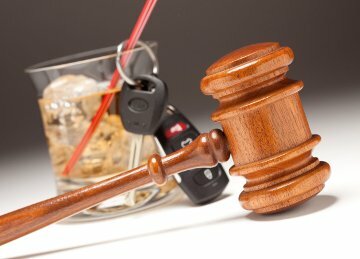 The purposed of the Special Supervision Services is to give DUI offenders with revocations on their licenses the opportunity to receive a restricted license. Entry into the Program is an application process. Cost: The initial cost of application is $310. If accepted into the Special Supervision Program, monthly visits are required at a cost of $65 per visit. Additional fees for record checks and chemical testing apply. Additional fees are required by Ignition Interlock Device vendors. Qualifications: Prospective applicants must have had a Hearing at the Bureau of Administrative Review and received a letter giving them permission to apply to the SSS Program. The client has thirty days from date of hearing letter to contact Sunshine Safety Council to begin the application. Applicants must have at least one full year of sobriety to be accepted and applicant must agree to a strict program of sobriety to remain in the SSS Program. Applicants must also have not driven for at least one year prior to their application. Clients in the SSS Program are subject to random urinalysis and blood tests at the client’s expense. Any treatment agency where you’ve received counseling for alcohol/drug use. “No License” is the revocation time period applicants must serve before they become eligible for application to the Program. “No Driving” means a confirmed period of no driving without a driver license. “Abstinence” means total abstinence from all alcoholic beverages (including non–alcoholic beer), no abuse of prescription or over–the–counter medications and no illicit drug use. DHSMV requires an Ignition Interlock Device be installed in your vehicle. The interlock device is required prior to the Hardship Driver’s License being issued. Fees required by the Interlock vendor are in addition to the fees required by the Supervision Program.